Near about three years ago we have designed the concept for Mahindar Brush as a freelancer. The design and concept has attrect thousends of companies and distributor and dealers...I wish I could have a manufacture unit for it. Wish and congratulations to Mahindar brush company and its manufacturing unit. 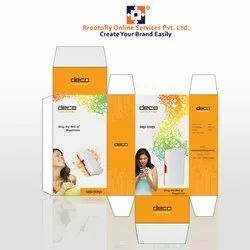 We are a successfully ranked amongst the leading organizations, engaged in providing superior quality Packaging Design Services to the clients. Package design undoubtedly is the driving force behind branding. Well over 70% of all buying decisions for retail purchases, are made at the in-store points-of-sale. Packaging is the first thing that attracts buyer attention, anywhere, every time. We are engaged in design and manufacturing of poliethinline, graviers food package prinring located at kolkata. Help and provide cosultation of designing and complete printing of package of various range. The envelops and packages that contains your documents and material must be as special as your content itself. Thus, we design amazing design for your packaging material as well. There is more to packaging design than simply ensuring a package looks appealing. There is a whole science behind it – from the shape of the package to the materials used without forgetting its functionality. We offer you with unique and powerful packaging designs that effectively act as an impressive method of communication between your product and your consumers. Creating the first buying impression on looking at the product. Facilitate your product to stand out while on display. The primary goal of any package design is to attract customers’ attention. For this purpose, designs cannot simply inform the customers, but also provoke feelings and communicate emotions. An effective packaging looks attractive, impresses with its creativity and is just nice to have on the shelf. Our team can design a custom packaging solution specifically to meet your needs. Packaging is the first that attracts buyer attention, anywhere every time. Hence it is naturel for business to be concerned about geting it right first time each time as far as packaging design is concerned. Blue Stockings Communications Pvt. Ltd.